During a meditation at the Ostara & Full Moon ritual I attended recently I received a gift with a symbol on it, from a Goddess. 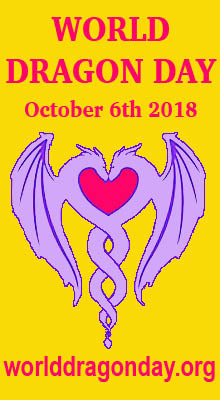 I did not know specifically which goddess she was and only saw her hands and white flowing robes as she handed me a deep purple amethyst crystal egg with a symbol marked on it. 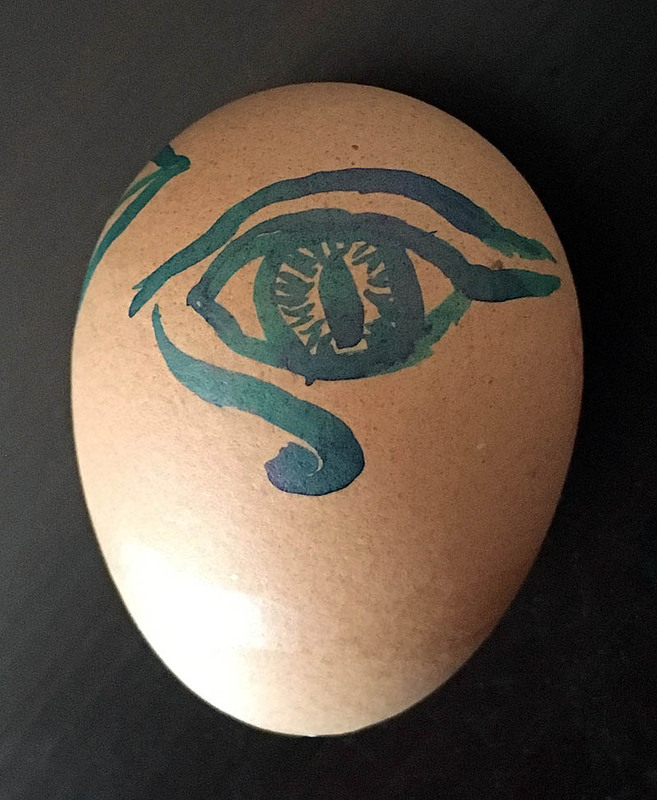 At first the symbol on the egg looked like the familiar triangular Dragon’s Eye symbol but it gradually transformed to reveal an actual Dragon’s eye in the centre, similar to a medicine shield I had created at a group workshop some months ago. 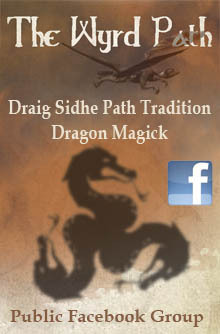 Dragon’s Eye “Medicine Shield” — areas around the outside of the triangle represent Sea, Land & Sky. However, in my meditation this was not the final transformation of the symbol. It started to morph into what I recognised as the Egyptian Eye of Horus, though with a distinctly reptilian-looking Dragon’s eye instead of the eye of a falcon. While this visual transformation was taking place I was having difficulty remembering/deciding what the eye was called. Even though I recognised it as the ‘Eye of Horus’ the names ‘Eye of Ra’ then ‘Eye of Thoth’ kept cropping up in my mind, before I finally felt that ‘Eye of Thoth’ was the correct name for this representation of it in my meditation. I thought this was odd as although I had a vague recollection of the name ‘Eye of Ra’ sometimes being used for this symbol (I thought one was the left eye and the other the right eye but couldn’t remember which was which) I wasn’t consciously aware, from the very limited reading I have done on the Eye of Horus, of seeing anything about Thoth being associated with the sacred eye symbol. I decided I would research this when I got home. 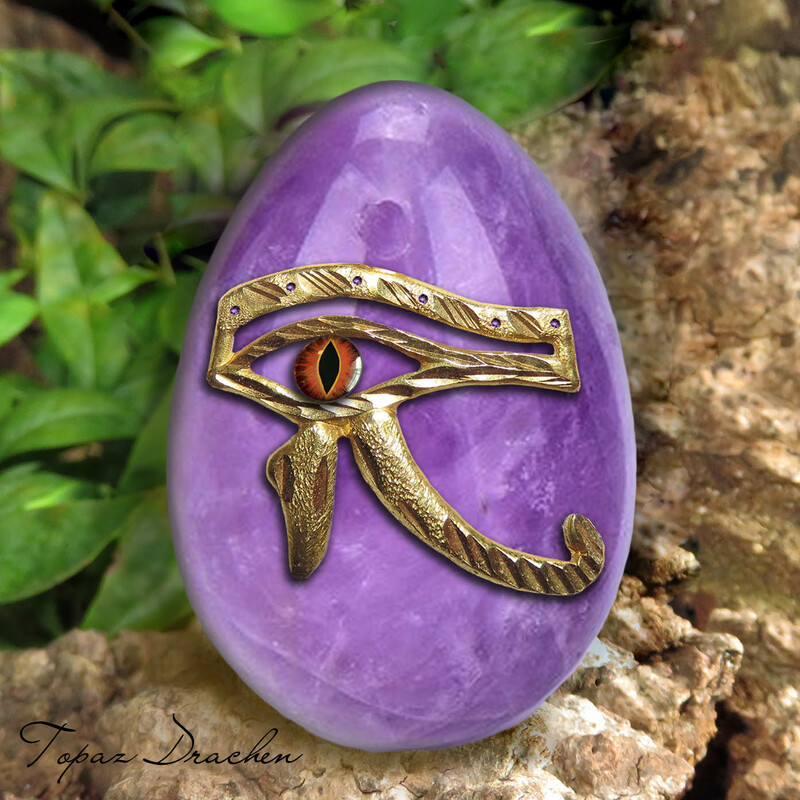 As the meditation progressed the symbol I saw morphed from a life-like Dragon’s Eye of Horus/Thoth into a more stylised image that looked like a piece of gold jewellery, with other amethyst jewels added to it, attached to the side of a carved amethyst crystal egg. 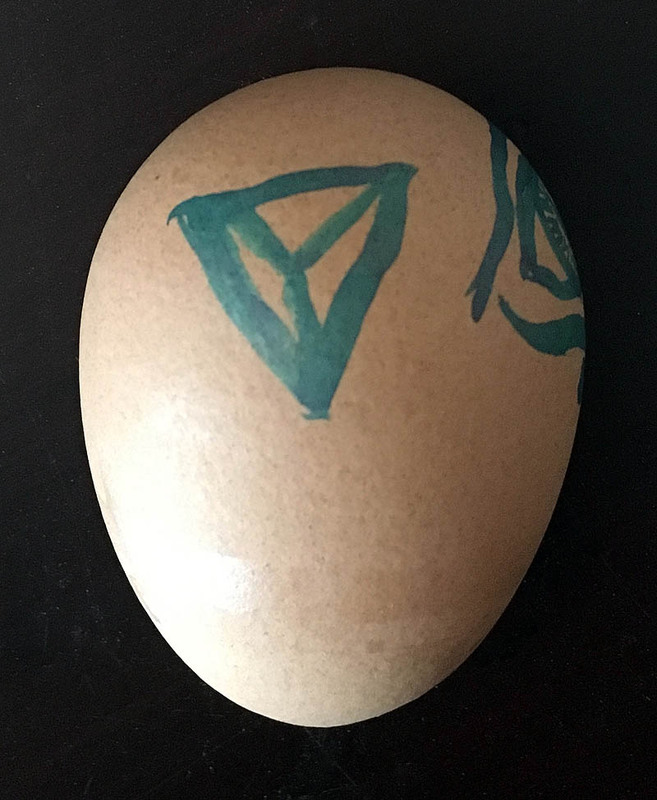 I created this image of the egg and symbol to look as close to what I saw in my meditation as possible. The word utchat, sometimes spelled udjat, refers to Egypt’s sacred eye symbol. The right eye is called the Eye of Ra, symbolizing the sun. The left is called the Eye of Thoth, symbolizing the moon. Both eyes together are the Two Eyes Of Horus The Elder. The eye is the part of the body able to perceive light, and is therefore the symbol for spiritual ability. Well, how ’bout that! 😀 …another interesting snippet of info picked up via meditation, seemingly from ‘out there’. 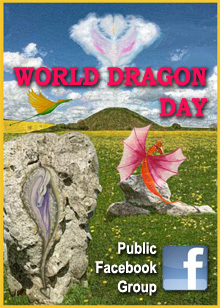 Thank you Dragons! 😀 And if it was already floating around in the murky depths of my subconscious, then thank you for the reminder and clarification. The Right Eye of Horus (Eye of Ra) symbolizes the Sun and represents concrete factual information controlled by the left brain. It deals with words, letters, and numbers and those things which are describable in terms of sentences or complete thoughts. 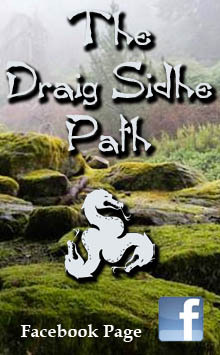 It approaches the universe in terms of male oriented ideation. The Left Eye of Horus (Eye of Thoth) symbolizes the Moon and represents abstract aesthetic information controlled by the right brain. 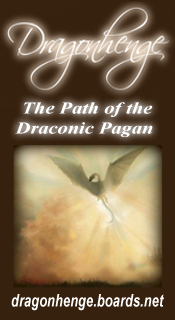 It deals with esoteric thoughts and feelings and is responsible for intuition. It approaches the universe in terms of female oriented ideation. We use the Left Eye, female oriented, right side of our brain for feeling and intuition. Eye of Ra (right eye) and Eye of Thoth (left eye) — together they are the Two Eyes of Horus. I also looked up some info on amethyst, as it too was a prominent feature of my meditation. Amethyst is associated with increased nobility, spiritual awareness, meditation, balance, psychic abilities, inner peace, healing, and positive transformation. This stone brings an understanding of death and rebirth and relieves stress. Amethyst is a teacher of all things spiritual, mystic and psychic and is very healing of body, mind and soul. (Source) A very comprehensive article about the properties of amethyst can be found on the Crystal Vaults website. 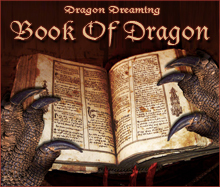 This entry was posted in Dragon Images, Dragon Meditations, Dreams & Whispers.